Our Furnace Repair technicians service Camarillo 24 hours a day. Call Pacific Coast when you need an honest and reliable Furnace Repair company in Camarillo, CA. We offer 24 Hour Heating service in Camarillo, Our repair technicians specialize in servicing all makes and models of heat pumps, wall heaters and Furnaces. We are available for 24 hour emergency Heater Repair service, offering routine tune ups to keep your furnace working as efficiently as possible throughout winter. Our licensed and experienced Heater Repair technicians are ready to fulfill all of your repair needs. Are you experiencing any of the following problems? Furnace vents blowing out lukewarm, cool, or even cold air. Your furnace is on, but your house is not reaching the temperature you set on your thermostat. Little or no airflow from air vents. Vents blowing out moist or humid air. Dust and debris blowing out of vents. Furnace and/or vents produce noise when running. Furnace isn’t turning on at all. If you’re experiencing these problems, we can help. Call us now! If you want to avoid having your furnace repaired during the cold winter months you may want to call us to perform a maintenance check up in the early fall to ensure that everything is working order before the weather gets cold. Doing maintenance on your system can prevent major repairs from happening. When you schedule an appointment with us, you can trust that the technician who shows up your door will be licensed, experienced, and professional. We always show up on time you will know the cost with our upfront pricing so that you can be sure in making the best possible decision for you and your family. If you’ve lived in Camarillo, CA and have been through a few winter days without your furnace in your home or business you know its not a pleasant experience. When your home comfort system is in need of a Furnace Repair Service you can trust a Pacific Coast Furnace Repair technician will arrive on time, prepared ready to fix your system. Even if you are calling after office hours, we have our phone system set up to alert our 24 hour Emergency on call Heating service technicians as soon as you call. 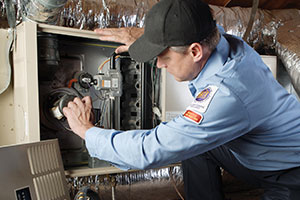 Our repair technicians are trained and certified to diagnose all of your Furnace issues. Equipped with a fully stocked vehicle 90% of all Furnace Repairs are taken care of no longer then a few hours after a Pacific Coast Furnace Repair technician arrives. With a pricing guide issued to all of our service technicians carry with them you will know what it is going to take to get your central Furnace repaired in Camarillo. Get your central heating system fixed at the price that is right for you in Camarillo. Call Pacific Coast today at (805) 551-0949 or complete our service request form by clicking below. When winter settles in Camarillo, nights can get really cold! Our Heater Repair experts can offer reliable and cost effective heating solutions, whether you need a new central heater installed or having your heater repaired, we take pride in offering each client a customized solution. Not every central heating system is the same. Regular maintenance of your furnace / Heating system, including checking and replacement of all filters. Installation of a new furnace system when the old one can’t be repaired or is no longer efficient. Inspection of your current system to determine what repairs or replacements are necessary. Advice regarding how to increase the energy efficiency of your home or office building, and professional opinions on which products can help lower your utility bills. Information on how to improve the safety of your heating system and lessen your risks of accidents when working with your furnace or heater. Our Heater Repair technicians are guaranteed to always be on time. We know your time is valuable which is why we aim to show up at the early part of your appointment time window. Each of our technicians drives a vehicle that is fully stocked to complete most repairs during the first stop, minimizing your inconvenience and ensuring that your heater is up and running quickly. Guaranteed service within 24 hours of the time you speak to one of our friendly representatives. Our certified technicians are always professional and treat you with respect. Affordable services that don’t sacrifice quality. Emergency services 24 hours a day. Special discounts and monthly deals for valued customers. Each technician provides you with a detailed explanation of any services that are performed and any charge you are asked to pay. Sometimes, the major cause of delay for furnace repair is a technician that arrives without the right tools and parts. You will never experience such delays with our company! Our technicians will go to your home with all the necessary equipment so that nothing gets in the way of your timely, efficient repair or replacement service. Our vehicles are warehouses on wheels, we stock all the right parts to save you time and money. Increased energy efficiency. After the initial installation of heater, your home heating unit will become less efficient if it’s not well-maintained. Tune-ups ensure all moving parts are working and in excellent condition, so your system can run smoothly and save you energy. Fewer repairs. By locating and correcting smaller problems earlier on, any future repairs are also less likely to be as expensive or time-consuming. Lower energy costs. When your heater is operating at peak condition in your home, it doesn’t have to work nearly as hard to do its job, which can mean lower bills for you and your family. Cleaner, healthier air. Over time, your heater collects dust and other common allergens. During maintenance, the coils are inspected and overall system parts are cleaned, providing healthier air for your home. During a tune-up minor repairs can be made, preventing expensive heater replacement needs in the future. Scheduled maintenance will guarantee your Heater will run safely while at optimum efficiency. Dirty filters and components cause your Heating system to work HARDER and OVER HEAT. Raising utility bills and costing you more money. Our service technicians will perform a check up of your Furnace which takes approximately 60-90 minutes for our technicians to perform. The Heater tune-up involves checking that all components are functioning properly and cleaning of the Heating system. At Pacific Coast, we offer every service necessary to save you money, increase your energy efficiency, and help reduce your carbon footprint. It truly is possible to enjoy the comfort of your heating system year round, and still be an Earth-conscious and green consumer. Air duct repairs are needed from time to time from natural wear and tear of daily use. Our friendly team members conduct visual inspections as well duct system sealing tests to find the problem or problems. Once the issue has been discovered, appropriate repairs to the air ducts are recommended. We take pride in our work; air ducts are thoroughly inspected and meticulously repaired to ensure your heating system is once again running at top quality, without wasting energy or increasing your utility bill. Duct replacement is usually needed for those looking to upgrade their heating system, or if the need arises due to the old or asbestos ducts being poorly installed or damaged. With Pacific Coast Heating and Air, duct replacement is conducted by an experienced expert. The new air ducts will be properly installed for ultimate efficiency. Our professionals utilize state of the art equipment and tools along with premium ductwork products to give our clients the best duct replacement service with the least amount of air leaks. Your thermostat is by far the single part of your heating equipment with which you have the most direct interaction. It is with your thermostat that you control your heating and cooling system, adjusting temperatures as desired. It is also your thermostat which you rely to regulate the performance of your system, cycling that equipment on and off in order to maintain the temperature that you’ve set in your home. In order to succeed in doing so, you must use the thermostat most suited to your needs in your home. Not only must you choose your thermostat carefully so that you can use it with the convenience and satisfaction that you deserve, but you must also know that the component itself is doing its part. That is why you must hire a professional to install and test your thermostat. Only then can you be sure that your thermostat is functioning precisely as it ought to and that its calibration is correct. Not every furnace can be repaired. There are times when an older furnace is beyond repair or may simply cost more to repair than to replace. In such cases, your technician may recommend that you have your furnace replaced. Sometimes a new furnace is the most cost-effective and energy-efficient way to go. We will always be honest with you about a possible furnace replacement. We value our time and your money––we don’t want to perform repairs or service on a furnace that is in need of replacement. Your technician can discuss with you your heating needs and recommend a new furnace that can best meet your home requirements and your budget. Most residents in Camarillo look for ” The best furnace” to be installed in their home. Instead of focusing more on which company to use to install their new heater. A big number of repairs needed within the first few years of a furnace installation are due to poor installation. Increasing Furnace repair costs: Old furnaces are fixable, in some cases universal parts can be used in other original manufacturer parts are needed which is to be very costly. Complete system failure: Your heater has completely failed or has a broken firebox due to age or improper air flow from when it was first installed. Rising energy bills: If you’re paying more for heating than you typically would in similar weather, your gas furnace’s efficiency is dropping. Uneven heating: Are certain rooms or areas of the house colder than others? These cold spots indicate uneven heating performance. Frequent cycling: Ideally, your furnace won’t need to cycle on and off often to maintain comfortable temperatures. If you notice significant cycling, you’ll want to heed this warning sign. Issues with air quality: Toward the end of its lifespan, your gas furnace may not be able to prevent humidity problems, excessive dust, and rust particles from entering the air inside your home. If you do need a furnace replacement, we know how overwhelming it can be. Most customers do not understand what different kinds of furnaces are available. When replacing your furnace there are 3 important factors to consider which would be the size of the furnace (heating capacity), The efficiency rating of the furnace, and the quality of installation. Below we share with you how to understand different types of furnaces. What Are The Different Types Of Furnaces? Single Stage: A single-stage furnace has only one stage of operation. It can either be turned on or turned off. Two Stage: A two-stage furnace has two settings––full and half speed. This is a more efficient way to heat and provides for better comfort, because it can move the air at a slower pace. Variable Stage or Modulating: A variable-stage or modulating furnace modulates the speed and heat output based on the temperature outside and the desired comfort level. This furnace only works as much as you need it, making this type the most energy-efficient type of furnace. While a new gas furnace requires an up-front investment, you’ll find many perks when choosing a new heater. Regardless of why you’re considering a furnace change out, our goal isn’t to make as much money off of you as possible, but to provide you with a level of professional service that will make you a customer for life and in hope you will refer us to friends and family which is how we have grown our business for over 20 years. 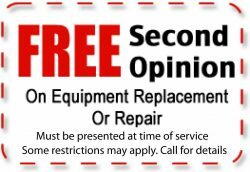 If you know that your heater needs to be replaced, or you need an experienced technician’s opinion as to whether repair or replacement is the best choice for you, call us we can help you. At Pacific Coast we focus on designing our Furnace installations so that they will perform as quiet as possible and provide lasting results. We also take the necessary steps to inform our customers about the high efficiency systems that are available on the market today to meet their needs, to prevent future Furnace Repair we work with only the best brands. Our Furnace installation comfort specialists focus on energy efficiency, which means when it is time for a new Furnace we will help you find a system that uses the least amount of energy by ensuring the system is designed for your home to help lower your impact on the environment and on your utility bills. Want to know why your neighbors and friends use our company call us for a free Furnace installation quote in Camarillo. If you suspect that your heating system may be beyond repair, consider purchasing a new unit from us. We’re happy to help you select the right one. Give us a call at (805) 551-0949 to request a quote or discuss a new unit! Do i have a Broken Heat Exchanger?